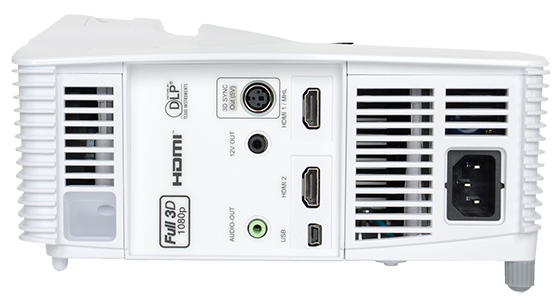 Experience games and movies the way you have never seen before on an Optoma GT1080 High Definition gaming projector. Designed for serious gamers like you, the Optoma GT1080 delivers super-fast 2800 lumens bright HD games to the screen with stunning color accuracy and a 25,000:1 contrast ratio for maximum image detail and improved visibility. Allowing you to acquire and assess information easily and to formulate a faster, more accurate response to defeat your opponents. Equipped with the level of all digital connectivity you need for today’s gaming gear, the Optoma GT1080 will keep you on top with two HDMI ports, MHL connectivity, VESA 3D sync port, razor sharp 0.5:1 short throw lens to deliver larger than life images even in space constrained environments, powerful 10-Watt audio, 12V output, whisper quiet operation and up to 6500-hour long lamp life for worry-free gaming. 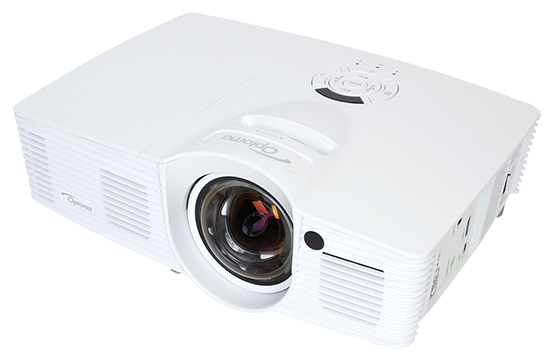 This is the best projector I have used! Short throw is great for my needs. Picture quality is amazing!! Have now racked up 500+ hours in just under 4 months. Used for Xbox one, laptop and PS3. Definitely use the different settings for different applications. Game mode / movies. Only gripe I have is fan noise during dead quiet scenes. Is noticeable if you listen for it. Also pity the 3D is not built in. Would love to get the extras but to buy enough glasses for everyone here it will be too much. If looking for a cheap great projector you can pass this one up. ( only used on a painted wall in a rental and picture is still awesome). Also the bloke I bought it off from here was real helpful. So happy I didn't buy the Rv I was looking at and went for the projector instead! !